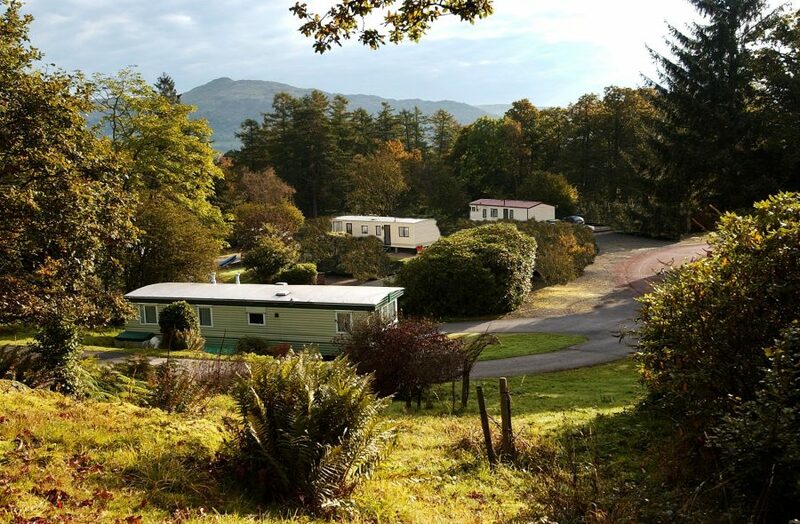 Until now, award-winning Skelwith Fold Caravan Park, situated just outside the bustling Lake District town of Ambleside, has comprised mainly of privately-owned static holiday homes; in fact, there are 300 of them. Other than buying a unit, the only way holidaymakers could stay on the site, which is surrounded by woodland favoured by naturalist David Bellamy (Skelwith was awarded a David Bellamy Conservation Gold Award in 2014), was to bring their own touring caravan or motorhome. No camping pitches are available either. So, I was very pleased to hear about developments at the site. 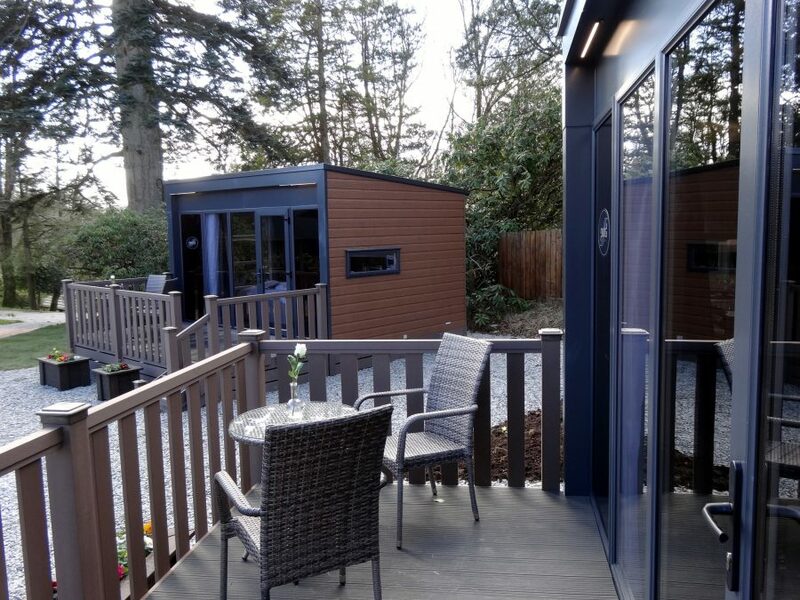 From Summer 2015, more people will be able to appreciate this tranquil Cumbrian park, which occupies the 130-acre grounds of a former country house, thanks to the introduction of four luxury “Hideaway” pods. The park is open 1st March to 15th November, during which time prices for the luxury two-person pods start at £240 for three nights. “Love the idea of camping? But less sure about the cold, draughty and damp bits? 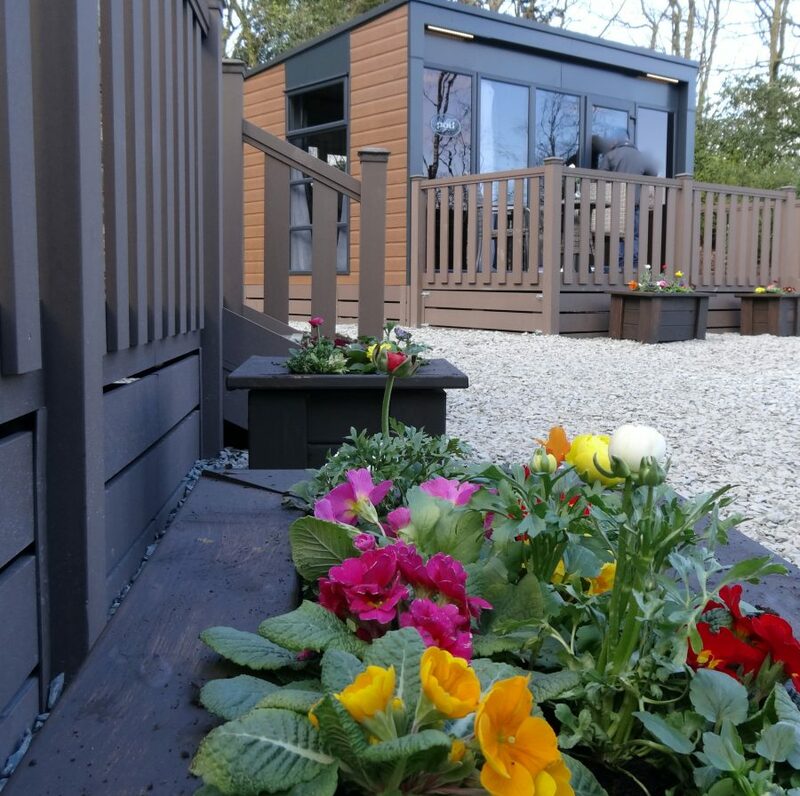 Then welcome to the luxurious world of Skelwith Fold’s Hideaways, where you can experience outdoor living whilst enjoying all indoor comforts required for a memorable stay.” That’s how Skelwith Fold promote these cosy little units. The pods, measuring 14ft x 10, are tucked away in one of the park’s quieter spots, positioned around a large communal undercover BBQ area. Apparently, you shouldn’t be surprised if you spot some wildlife, including deer and woodpeckers. All the units are two-berth (it would be great if some four-berths are installed soon) and contain a pull-down double sofa-bed, well-equipped kitchen area with cooker, microwave and fridge, ensuite bathroom with power shower and heated towel rail, TV/ DVD player and decking area with outdoor furniture. Visitors hiring a pod will be supplied with bedding, towels, shampoo & body wash, tea/coffee & biscuits and even Prosecco and truffles! Of course, anyone staying in one of the contemporary “Hideaways” can use the park’s facilities, including the shop, recreation area (table tennis table and large field), laundrette and small library. The “Hideaways” are attractive, contemporary and well worth considering by couples visiting the Lakes. For further details of Skelwith Fold, refer to the other review on Travellowdown.